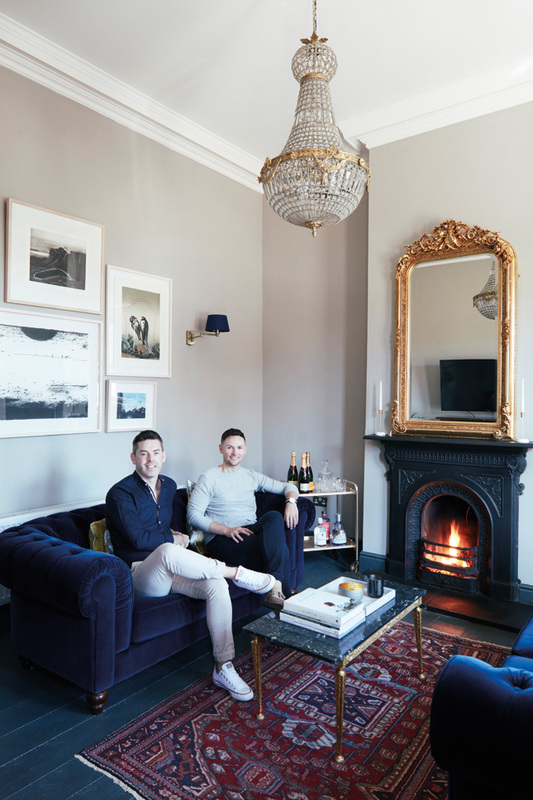 Those looking for a crash course on how to use space wisely, need look no further than this Victorian home in Dublin 7, home to Darran Heaney and his partner Eoin Callaghan. This once poky one-bedroom house nowbenefits from two double bedrooms, two bathrooms and even a downstairs toilet. 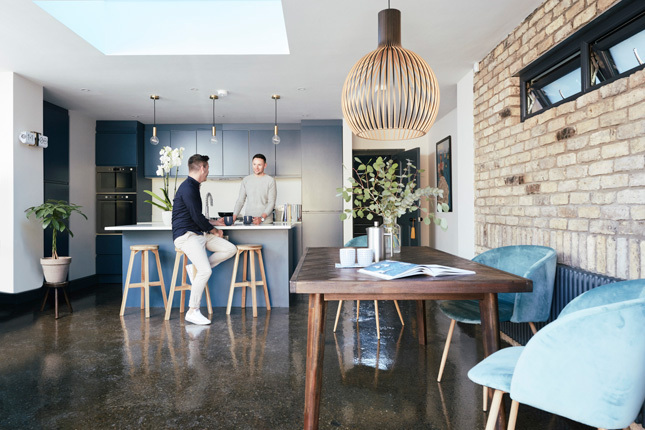 “We called it ‘The Flat’ because the bedroom was the only comfortable place to sit and eat and we had to shower in work for a week,” laughs Darren of a time when the couple had no kitchen or running water. It may have been in a bad state, yet this didn’t deter them. “It had been a rental for 20 years and was very dated.  But, as soon as we saw the living room, we were sold,” Darran says. KITCHEN The kitchen resides in what was a narrow space at" "the back of the house. Now opened up and extended, the units are painted in Farrow & Ball’s Stiffkey Blue. It was fitted by Darran’s brother, Niall from NH Construction. 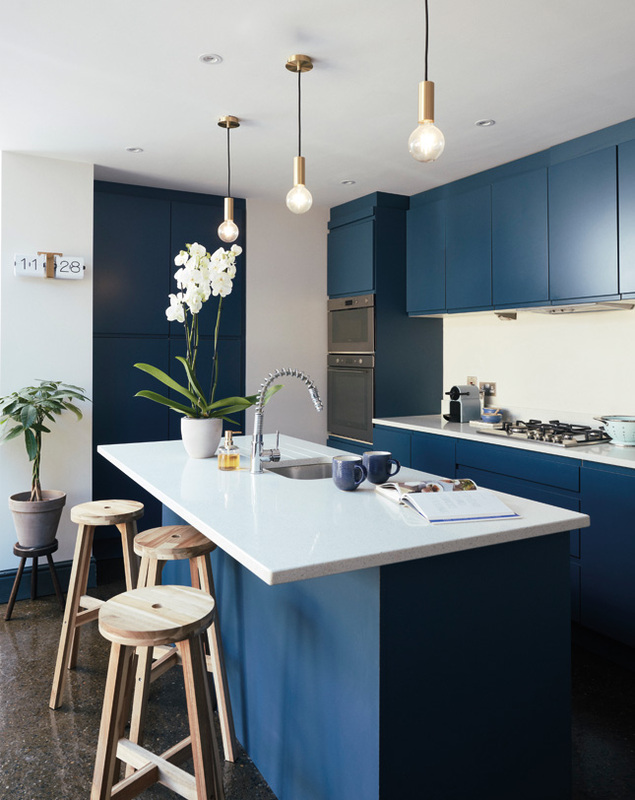 The light-toned stone on the countertops from Egan Stone offsets the dark blue hue. The pendant lights over the island are from Hicken Lighting. 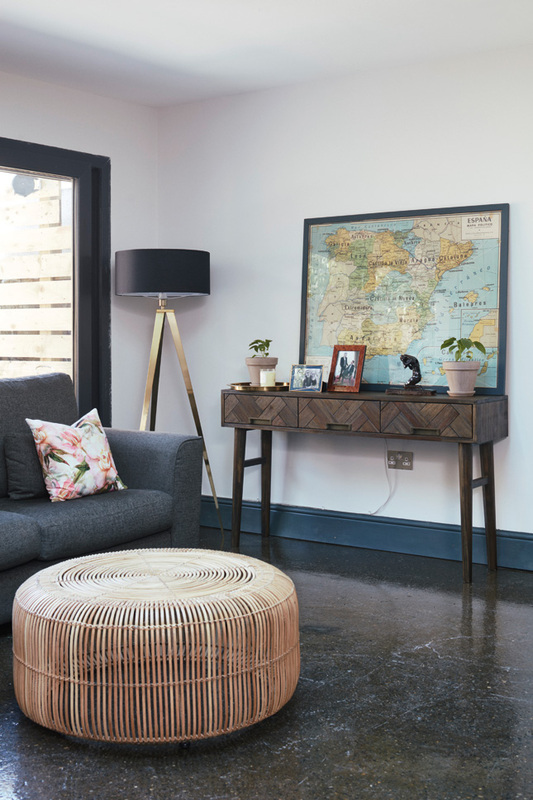 “The polished concrete floor was a last-minute decision, and a huge risk, because we didn’t choose the stone, but it turned out brilliantly,” says Darran. Much like the concrete floor, the roof light in the kitchen was another successful last-minute decision. It floods the potentially dark space in brightness. KITCHEN The integrated appliances, are by Zanussi, and were picked up at Power City. 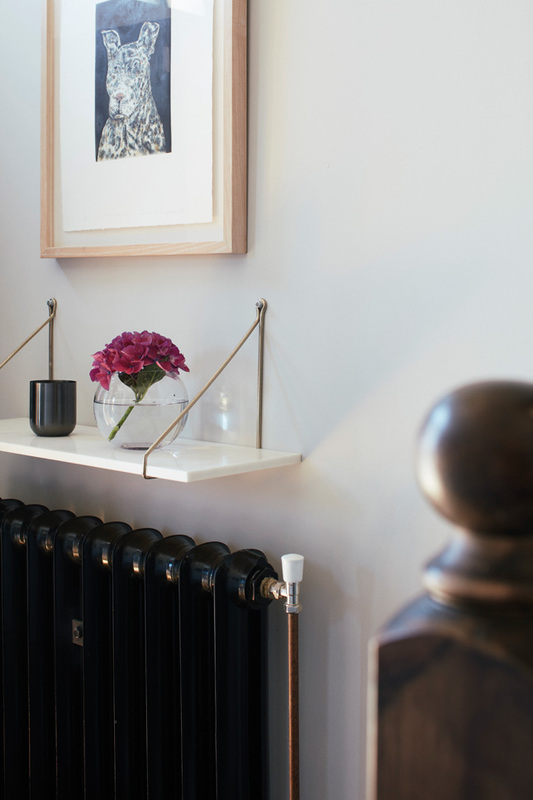 More standout is the curved chrome tap from ThePanelling Centre. Darran found the stools at Ikea. Look for a Karlsson Flip Clock on Amazon. Fast forward two years and you’d be forgiven for thinking the couple abandoned their plans and decided to live elsewhere. 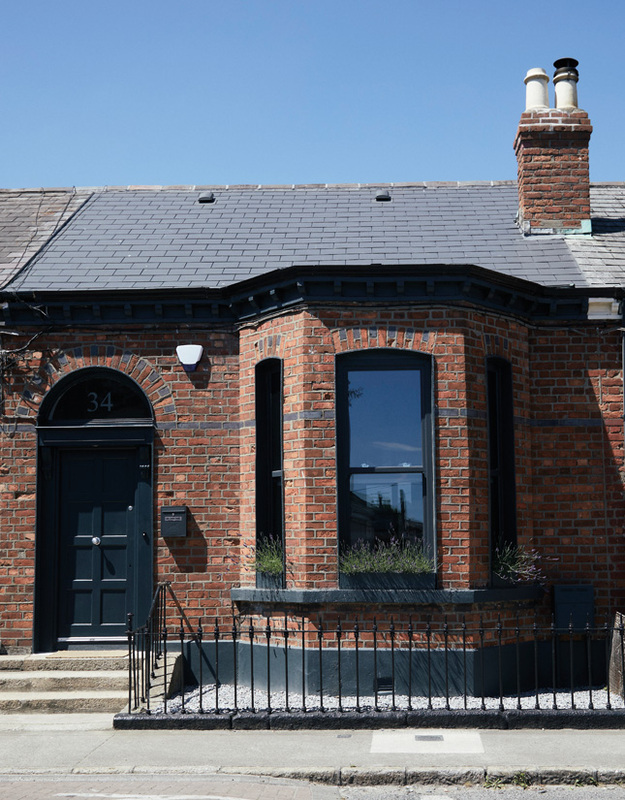 With the help of architectural firm, John Langton and Associates,along with Darran’s builder/brother, Niall Heaney from NH Construction, they knocked down an old extension tacked on to the rear of the house. This meant they could build out and open up the kitchen and create an adjoining living area. 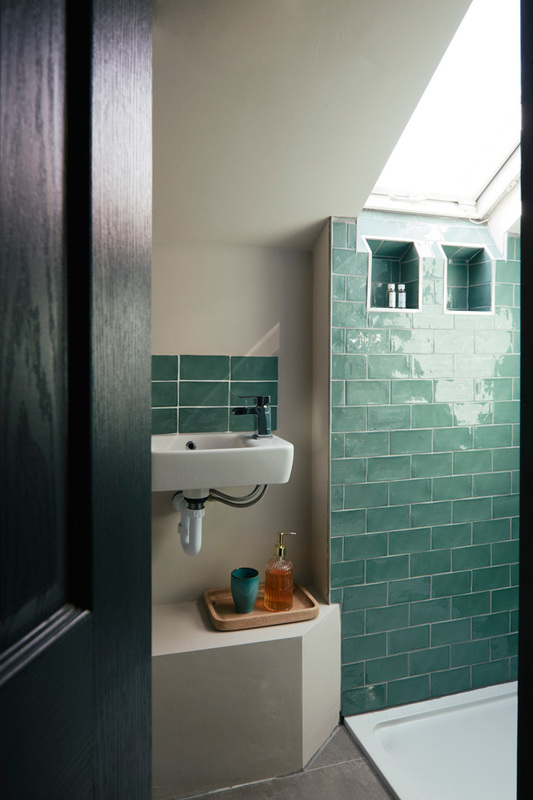 “My Dad, Declan played a huge part in the renovation, too. We had problems with the roof, the sewage, you name it, and he found ways around them all,” Darran says. SITTING ROOM A chandelier from Terence CliffordAntiques is perfectly suited to a room with high ceilings such as this one. 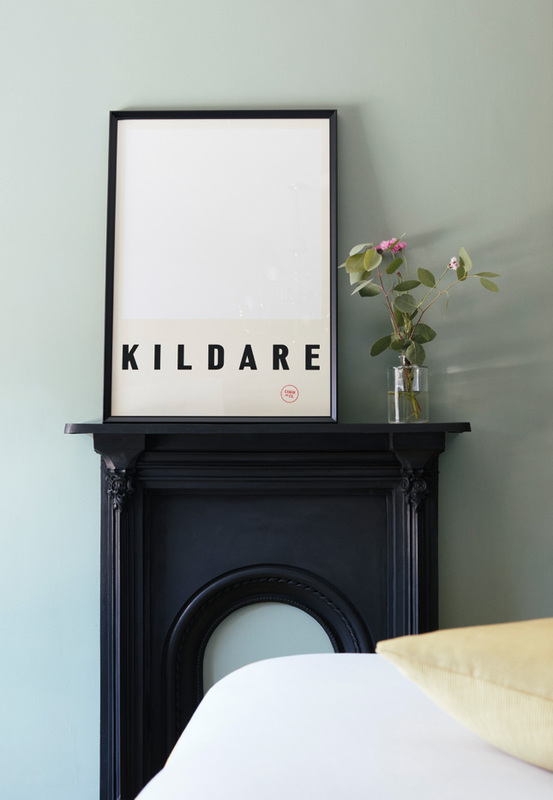 A mirror sourced from the same antique store in Dublin 2 ties the considered look together tastefully. 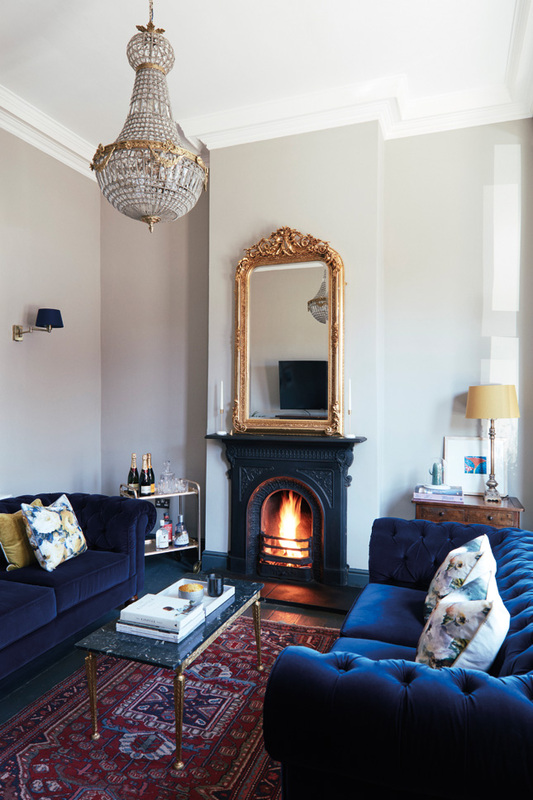 Chesterfield sofas in blue velvet from Debenhams along with Scatter Box cushions, add a contemporary touch without going over board. The marble-topped table and vintage drinks trolley sourced from Adverts.ie also support this juxtaposition of old and new. Clearly a fan of vintage and antique, Darran found the rug at the Vintage Shop in Phibsboro too. 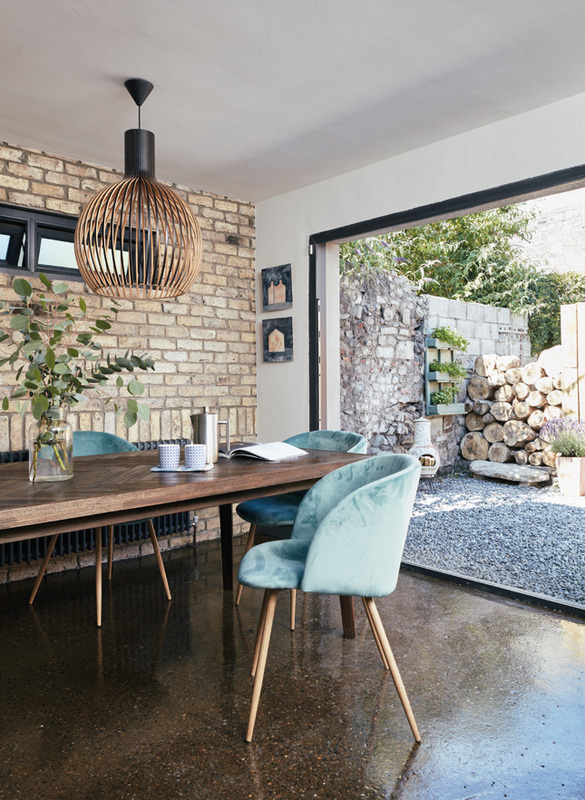 It soon became apparent that certain structural necessities, coupled with Darran’s eclectic interiors taste, called for a significant increase of their €70,000 budget – doubling it, in fact. The main offender was the roof. “We were lucky that we got it replaced while the weather was amazing,” Darran says, counting their blessings. 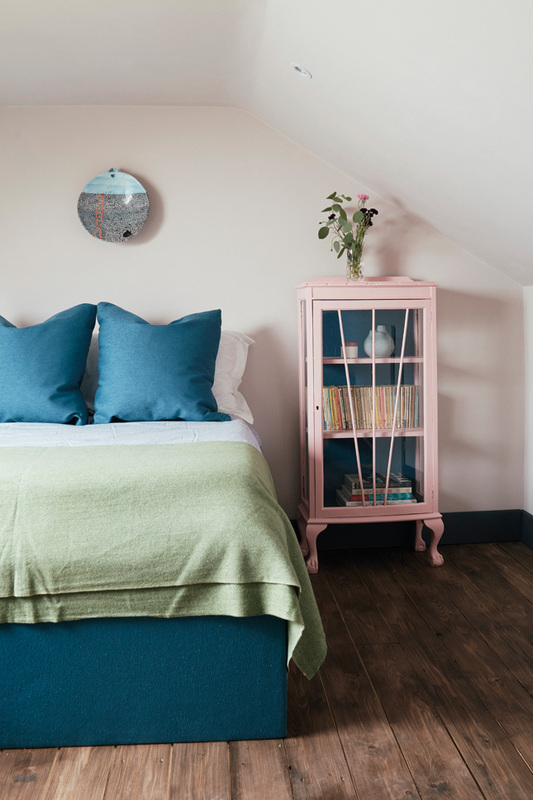 Such a huge undertaking worked to their advantage, as it added seven inches in height to the house, which allowed for a second bedroom. 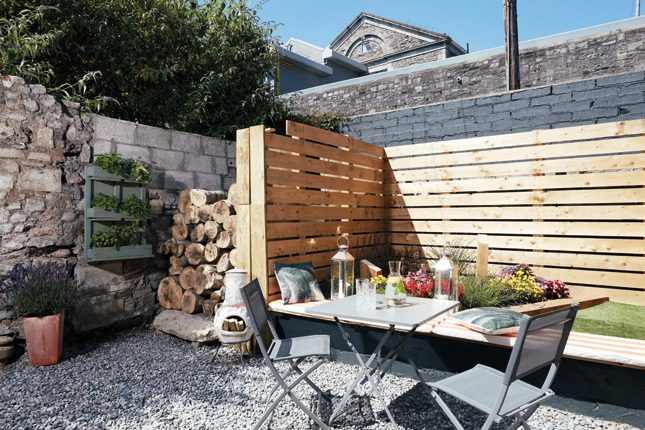 “It was never a space we’d previously considered for anything,” Darran says. MASTER BEDROOM The bed from Michael Murphy Home Furnishing is propped against a wall papered in Reverie Nile wallpaper by Little Greene. 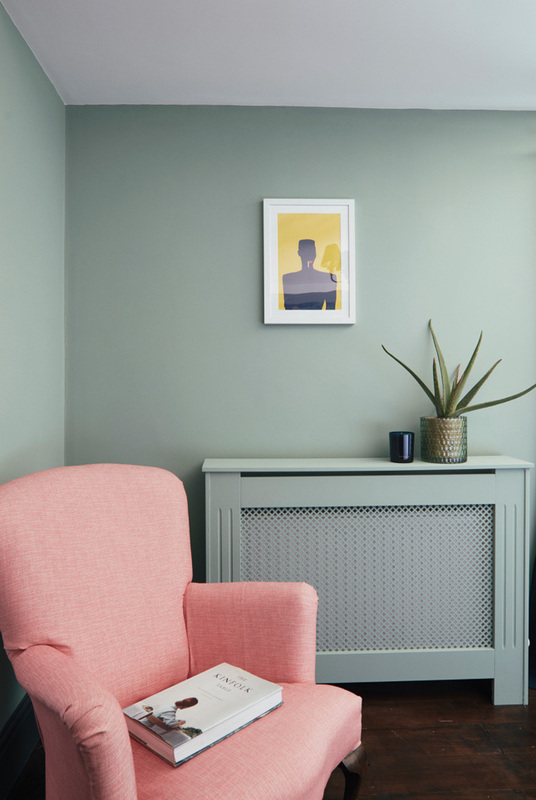 A complementary paint shade, Aquamarine (also by Little Greene Paint) covers the rest of the walls in the master bedroom. Darran upcycled the clever bedsode lamps himself from shoemakers wooden lasts. 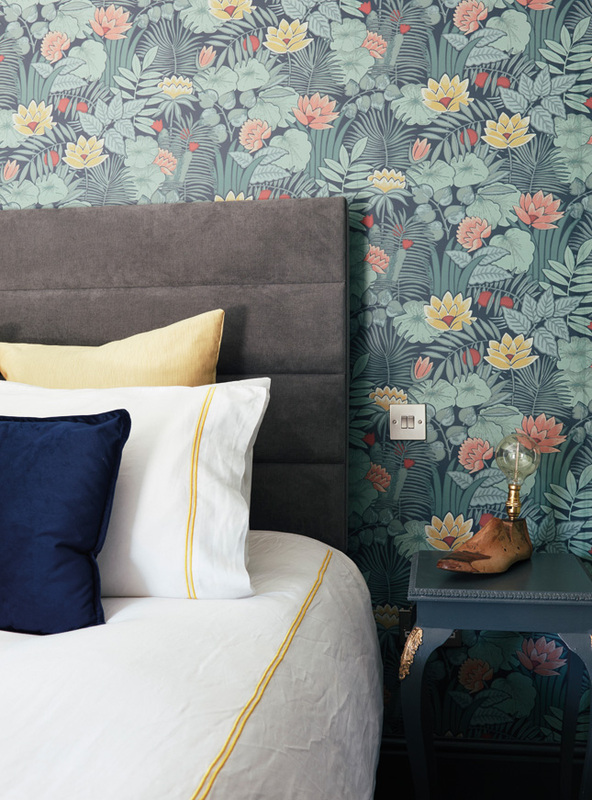 For similar bed linen, try Foxford Woollen Mills and for cushions, look to H&M Home. For a similar shaded light fitting, try Bright Lights. 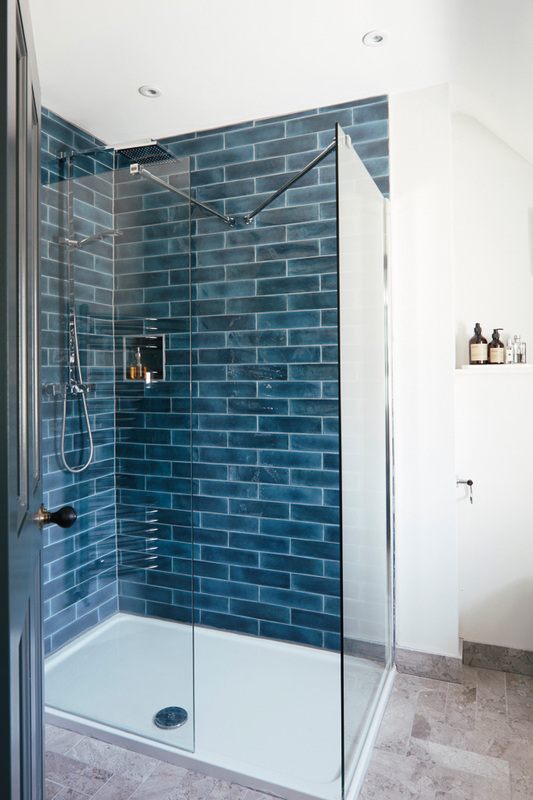 EN SUITE The couple kept the embellishments in the bathroom neutral in colour, but edgy in content with cool blue tiles from Tile Warehouse in Castlebar. 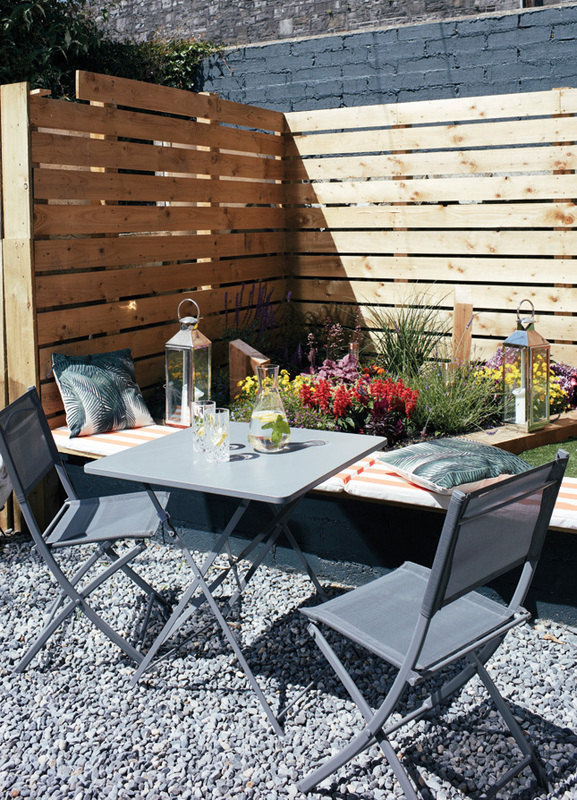 They say the best-laid plans often go awry, but luckily, this wasn’t the case in this renovation story. 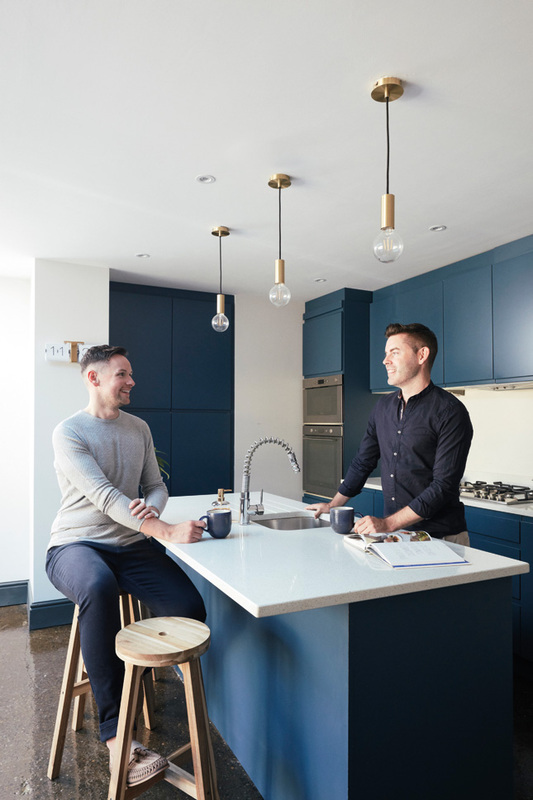 By sticking to their guns, trusting their team and seeing the positives in any unexpected hiccups along the way, Darran and Eoin maximised their space to create a beautiful home that embraces the perfect balance of old and new.